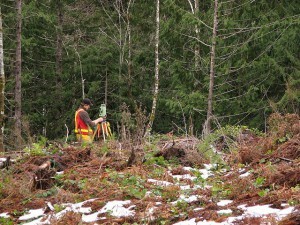 Topographical mapping is key when assessing the elevations of project areas. These maps are used when determining whether or not an area is stable enough for new infrastructure, help locate improvements that have been completed in the area, and makes it easier for organizations to understand the land mass they are dealing with. The team at King Surveyors take topographical mapping to the next level, integrating laser scanning into their processes to enhance their work. Laser scanning is an advanced technology that allows surveyors to make accurate measurements in diverse environments. It collects survey data points at a rate of 50,000 points per second and can measure as-built conditions inside buildings. Why is laser scanning so prevalent? Laser scanning (LIDAR) makes areas more visible for accurate planning. Laser scanning has been used for making detailed measurements, monitoring the progress of a construction site, surveying areas that are hard to reach, displaying historical preservation, and providing 3D photos. King Surveyors uses scanning as a rich source of data for planning, engineering and asset management. The LIDAR data gathered provides detailed surface models and the extraction of surface features that identify trees, utility lines, bridges, and buildings. It is important to understand the land that is being considered for route planning, building use, utility line development and a host of other things that are all essential to creating a safe environment for others. Topographical maps indicate areas that are not easily accessible from certain routes to determine where roads and other pathways should be implemented for easy passageway. Land planners rely on topographical mapping to complete their jobs. How does King Surveyors use laser scanning and topographical mapping? When interested in topographical mapping, using a team of professionals that have the experience and certifications needed to perform these tasks are crucial. Topographical surveys are essential to civil engineers and the work they do in order to properly graph areas for new construction, advising administrative agencies on the viability of certain land masses, and to determine the integrity of those land masses for use. Topographical mapping and laser surveying are also important in assisting regulatory agencies in planning and development for catastrophic event planning, working with different teams to disseminate the information needed to make sure residents are safe. King Surveyors is the largest independent land surveying firm in Northern Colorado, with services extending to additional regions as well. Specializing in providing superior quality surveying services and quality control through all phases of land development and construction, the firm has a longstanding reputation for excellence. Determining the type of survey you need takes an experienced team to determine what your project entails. A comprehensive land use project cannot be successful without knowing the parameters of the land and other elements that help bring everything together. Our land surveys work in conjunction with any soil surveys and other testing to provide a complete assessment of the land and how it can be used. Being proactive in providing your land team with the tools they need to make the proper decisions can make a huge difference when land planning. King Surveyors goes over and beyond to ensure you have what you need, when you need it. For more information on how we can assist your project, contact an associate at King Surveyors today.